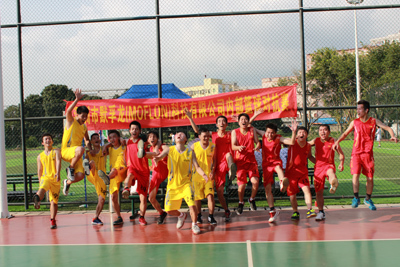 On August 1st, 2015, MOFLON Company all staff came to the basketball training center. There were two cheerleaders, and one is for red team, the other is for yellow team. During the competition, the cheerleaders were with full passion. After two hours fierce contest, the red team in MOFLON Company won this game. MOFLON Company all staff really embodied the sports slogan of “friendship first, competition second.